Posted November 8th, 2012 by Tony Florence & filed under Reviews. In general I’m the kind of comic book fan who follows a writer as he goes traipsing from one title to another. I’ll admit it: I’m kind of a literary snob…I think it stems from decades of reading sci-fi and fantasy novels. I reminisce about all of those late nights hiding under the covers with a flashlight reading the latest Heinlein or Burroughs novel that I had purchased from Waldenbooks with my lawn mowing money. That being said I truly don’t have much of an affinity for most comic artists. Don’t get me wrong, I wouldn’t pass up the opportunity to own a Mignola or Bisley piece but as far as mainstream super hero art goes I don’t think I’d clutter up my walls with a Jim Lee or Turner print. (yeah yeah, the comic gods are revoking my nerd card right now) There are three artists, though, who just make a book for me: old school Frank Miller…I’m talking Dark Knight Returns and Ronin, Geof Darrow…his level of detail in Hard Boiled is mind blowing, and finally Frank Quitely. 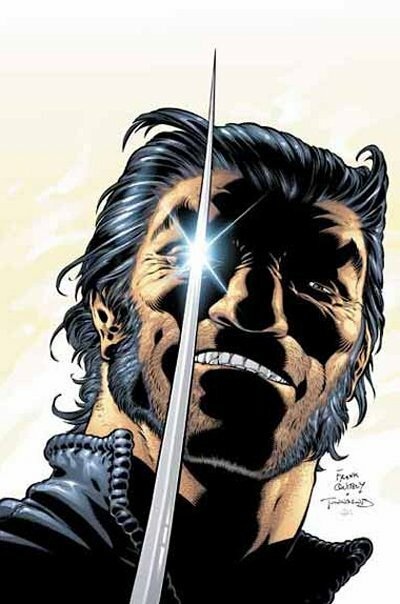 I know, I know…a lot of you super hero purists are going, “Frank Quitely? Doesn’t he draw the lumpy people in New X- Men?” Yeah…he did draw “lumpy people”. You know what? It works for me. His art is distinctive and dynamic. His level of detail is quite possibly second only to Geof Darrow and most importantly his storytelling is second to none. He conveys motion and energy along with emotion and expression masterfully. The thing that makes him a great artist is that, in general, you can remove the words from most of his works and you’ll still grasp the story through expression, posture, and pure kinetic energy. But I digress…this isn’t me doing a gushing review of Frank Quitely. It’s me doing a gushing review of WE3 where Quitely teams up with some hack writer…I think his name is Grant Morrison. Here’s the story in a nutshell: A dog, a cat, and a rabbit are weaponized with cybernetic power armor and, after a series of missions, they are set to be “decommissioned”, i.e. “killed”. They escape…face several trials while they flee the military and then there’s an ending. BAM! Sounds simple. Grant Morrison’s writing is at its best. The dialogue is distinctive and gives each character their own “voice”. The story is incredibly compelling and emotionally driven…I mean, how heartless do you have to be to not be touched by animal cruelty. Each animal, through their implants, have the ability for limited speech…which gives them a dissimilar personality and further emotionally invests you in their plight. Yes, Grant Morrison is fantastic. Quitely’s artwork is even better. He frequently uses a “fractal” art technique which is basically using dozens of smaller panels overlaying a larger piece of art to better convey motion or emotion. Each small panel is a glance at a brief moment in time so, when combined with other small panels, creates a diorama of frenetic activity. Although the animals have the ability for limited dialogue, you don’t really need it to see the dog’s sense of loyalty, the cat’s level of distrust, or the rabbit’s obliviousness. The art more than adequately carries the story. In conclusion, this Eisner award winning book is the complete package. Rarely can I discuss a work where I can rave endlessly about both the art AND the writing. It’s fortunate for us that these guys have a long track record of amazing comics. Flex Mentallo, JLA Earth 2 (recently back in print), New X-Men, and All-Star Superman (easily in my “Top 3 Favorite Superman Stories Ever”). 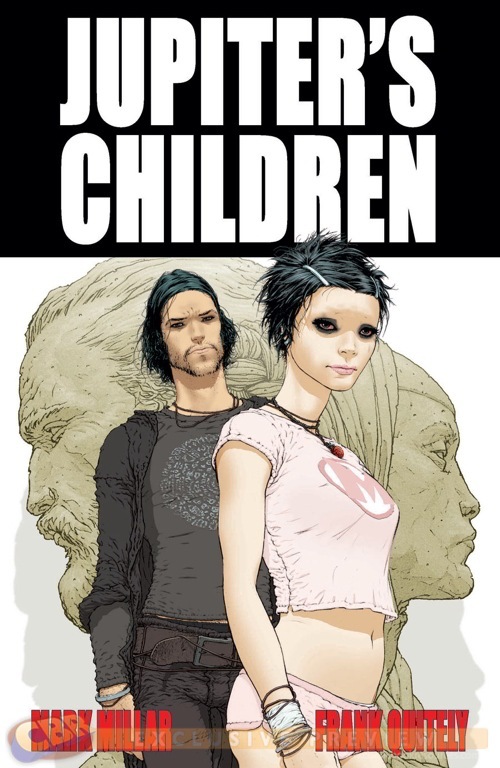 I’m eagerly looking forward to Quitely’s new creator owned project with Mark Millar called Jupiter’s Children which, in theory, starts this year. I have to agree with you on Quitely. I have found over the years that there is just something special that draws me to his art style, even the “lumpy people” in New X-men.